We distribute iPod & iPhone accessories worldwide. for iPhone 7 4.7" (Clear ). Easy installation protects and stylizes your phone in a flash. The style you want. The protection you need. Thin, sleek, stylish, pocket-friendly design, with wraparound colors and graphics add seamless style. For Samsung Galaxy S7 - Black / Crystal Clear. This sleek, cleanly constructed protective smartphone case is simple to install in its one-piece form. A full spectrum of wraparound colors and graphics on the sleek polycarbonate exterior add seamless style to complete your entire look. Genuine/OriginalCase for iPHONE X and XS 10. Plus, the slim, pocket-friendly Commuter Series for Galaxy S7 conserves precious space in bags, purses and briefcases. And, port plugs stop dust and pocket lint from clogging your inputs, keeping your device ready for your daily grind. 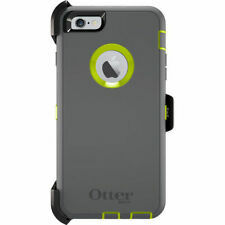 OtterBox Defender Rugged Hard Shell Case Cover Skin. For LG G5 (Black). NO Belt Clip . Built-in screen protector guards against scratches. Designed and made by Otterbox. Original holster for the OtterBox Samsung Galaxy S7 Defender Series Case. OtterBox Defender Holster Belt Clip. You will need the OtterBox Defender Case to use this holster. For Samsung Galaxy S7 Case - Black. OtterBox Defender Samsung Galaxy S9 Plus Holster Belt Clip. Belt Clip included,3-layer protective defender case. Belt clip Holster 360 swivels and using as kickstand,keep your phone in place. Inner Layer design: a poly carbonate shell. Plus, port plugs stop dust and pocket lint from clogging jacks and inputs, so your Galaxy S6 stays debris free. OtterBox - On-the-go Protection. We distribute iPod & iPhone accessories worldwide. OtterBox Defender Holster Belt Clip. Original holster for the OtterBox Samsung Galaxy S8 Plus Defender Series Case. You will need the OtterBox Defender Case to use this holster. For Samsung Galaxy S8 Plus Case (Black). Original holster for the OtterBox Moto Z Force Droid Edition Defender Series Case. Original OtterBox Holster Belt Clip. You will need the OtterBox Defender Case to use this holster. For Moto Z Force Droid Edition Defender Case - Black. 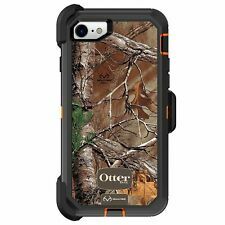 OtterBox Defender iPhone 7 Plus iPhone 8 Plus Case. - Big Sur (Blue/Beige). We distribute iPod & iPhone accessories worldwide. Case Only,No Holster Belt Clip . Port covers keep out dust and debris. Original holster for the OtterBox iPhone 6 / 6S Defender Series Case. For iPhone 6 / iPhone 6s / iPhone 7 / iPhone 8 Case (Black). You will need the OtterBox Defender Case to use this holster. We distribute iPod & iPhone accessories worldwide. For Samsung Galaxy S8 Plus (Clear) USED. We distribute iPod & iPhone accessories worldwide. Compatible with Samsung Galaxy S . Unlimited style: take your pick from an array of color and style options. We distribute iPod & iPhone accessories worldwide. For iPhone 7 Plus & iPhone 8 Plus Black. Thin, sleek, stylish, pocket-friendly design, with wraparound colors and graphics add seamless style. Easy installation protects and stylizes your phone in a flash. Original holster for the OtterBox iPhone 7 Plus / iPhone 8 Plus Defender Series Case. You will need the OtterBox Defender Case to use this holster. For iPhone 7 Plus / iPhone 8 Plus Case (Black). We distribute iPod & iPhone accessories worldwide. Plus, the slim, pocket-friendly Commuter Series for Galaxy S7 Edge conserves precious space in bags, purses and briefcases. And, port plugs stop dust and pocket lint from clogging your inputs, keeping your device ready for your daily grind. 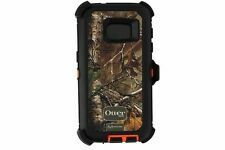 Otterbox Defender Hard Case Cover w/Belt Clip. For Samsung Galaxy S5 Black. Built-in screen protector guards against scratches. Otterbox Commuter Dual-Layers Snap Case. 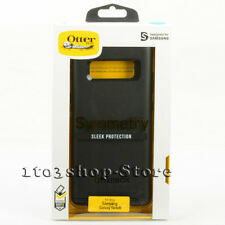 For Samsung Galaxy S3 S III - Black. Compatible with Galaxy S III i747, S3, i9300, i535, L710, T999. We distribute iPod & iPhone accessories worldwide. Bump and scratch protection. And, this stylish case boasts a quick slip-on installation to take your smartphone from drab to fab in an instant. Cases for Samsung. Item is New. Cases for Apple. Cases for Motorola. Cases for BlackBerry. Compatible with Samsung Galaxy S9 . We distribute iPod & iPhone accessories worldwide. Port covers keep out dust and debris. Fit Otter Defender Series ONLY. (Case is NOT Included). Because of the type of screen Samsung Galaxy Note 8 phone has and to provide better functionality, the defender case for this phone doesn't have a built in screen protector. Shock Proof / Drop Proof / Heavy Duty Rugged. And, this stylish case boasts a quick slip-on installation to take your smartphone from drab to fab in an instant. Ereaders & Kindle Cases. Cases for Apple. Drop Protection. Cases for Samsung. Cases for Motorola. 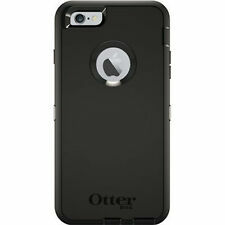 Protect your iPhone or Android with the Otterbox case. This waterproof and dirt-proof case is designed to withstand extreme drops and bumps without shattering your device. Choose from an array of affordable designs and colors on eBay that will keep your device looking stylish, while providing the ultimate protection. What are the features of the Otterbox? The Otterbox cases and covers include an array of features that will keep your phone safe, while helping with all the essential needs like charging and entertainment. 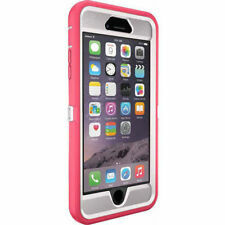 Three-layer protective case: With three layers of protective casing, your phone will stay safe. The three protective layers are made from a mixture of silicone, gel, and rubber. The case can withstand far drops with its shockproof cases, which are also completely waterproof if submerged in water or snow. Belt-clip holster: Attach your holster to your belt and easily snap your phone in and out of the holster when needed. The case will stay secure in the holster, and it clips in with a click for maximum security. Kick stand: Watch movies or videos without holding your phone with the nifty kickstand located on the back of the case. Port cover and raised buttons: Keep dust and dirt out of your charging ports, which snap in and out of the port holes. Also, identify volume, power, and home buttons with helpful raised buttons on the sides of the Otterbox. 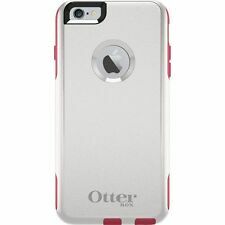 What kinds of iPhones does Otterbox make cases for? Otterbox makes cases for all iPhones, including the iPhone 6, 7, 8 plus, X, and XS. It also makes cases for the Samsung Galaxy S6 Edge, 7, 7 Edge, S8, 8, S9, and Note 9. What types of case models does Otterbox have? Defender - This has a hard inside shell and soft outside shell that cradle each other for the ultimate, shock-absorbent protection. This case does not come with a built-in scratch proof screen protector. Commuter series - This case is thin in size and lightweight. It fits in pockets and purses easily. Pursuit - This includes a lanyard that adds security from bumps and drops. Symmetry - This includes a neat screen bumper. It is a raised edge that surrounds your screen. No matter how you set your phone down, or drop it, the screen will never touch any surface. What colors do the Otterbox cases come in? Choose from a variety of colors, such as two-toned, solid, polka dot, striped, ombre, and sparkle-colored cases. Content provided for informational purposes only. 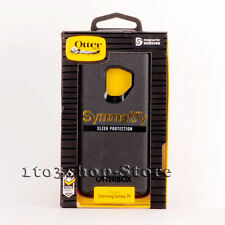 eBay is not affiliated with or endorsed by Otterbox.